Now that we can look back on the entire DC Convergence event as a whole thing we can decide how truly disappointed we really are. Instead of being a deep understanding of the multiverse we got a “battle under the dome” better left to Saturday morning cartoon(I am already hearing readers complain that that is an insult to Saturday morning). With all the two-issue miniseries replacing every monthly visit to the DCU there has been very little to really latch onto. This could be because the dome situation did not provide that much diversity in situation, and it could also be that DC’s desire to showcase older versions of the characters has left actual creative storytelling a little cold. While most of these will leave you straight up disappointed, there are a few gems that really floated to the surface. If you are just now thinking about getting into DC’s Convergence then these are the top five tie-ins that you will want to check out. This is a surprise for fans of Harley in that her primary characterization right from the beginning is a quiet and contemplative woman who is trying to leave behind her manic past. She eventually has to cross our favorite DC renegade, Captain Carrot. There is a lot of fun to be had in these two issues and an interesting take on the character that reads much better than you would expect. Swamp Thing is much more toned down than most of its history, both on Vertigo and The New 52, but it still draws on the known history of the character all the way back to the Alan Moore run. He is inspired to go over to Gotham right before the dome returns, and when it does his connection to The Green is severed and he has to embed himself into the park waiting for fertilizer. In general, this is the slightly darker version with dialogue that seems appropriate and draws out some of the ecological themes that we have seen throughout Convergence. Jeff Parker does exactly what you should do with a character like Shazam: makes it fun and silly. The art is bright and engaging and the Parker story draws on the entire Marvel family and reminds us of the long past the character has. There are some relatively obvious reveals in the second issue about who the “real villain is,” but generally this is going to be one of the reads that really draws on the kind of Golden Age goofiness that Shazam is really a hallmark for. This is kind of a must-read if you are going after the series since Superman remains the center of this multiverse event, especially in regards to Brainiac. 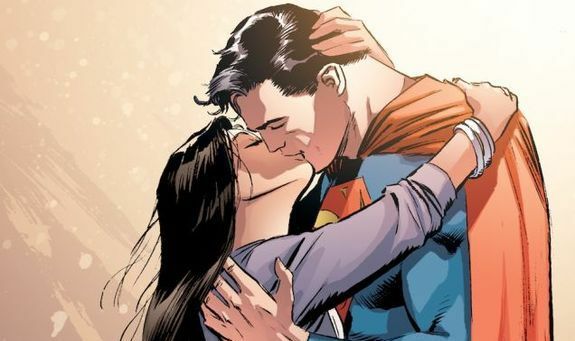 What is nice about this is that we dive directly into Clark and Lois’s relationship, especially as the birth of their first child is on the horizon. This may seem like a cheezy ploy, and it is, but it ends up having a certain sweetness to it, and the interaction with Thomas Wayne is wonderful. Greg Rucka’s take on The Question is the real stand out of this miniseries. He takes on the darker crime character and works in a hard characterization, while at the same time using it as an opportunity to highlight the female characters that are now saving Gotham. The issue looks really heavily as “person behind the mask” and focuses in on the LGBT experience to give the character depth. The writing and storyline is what will make this the only tie-in you will want to return to a second time after the event is over.